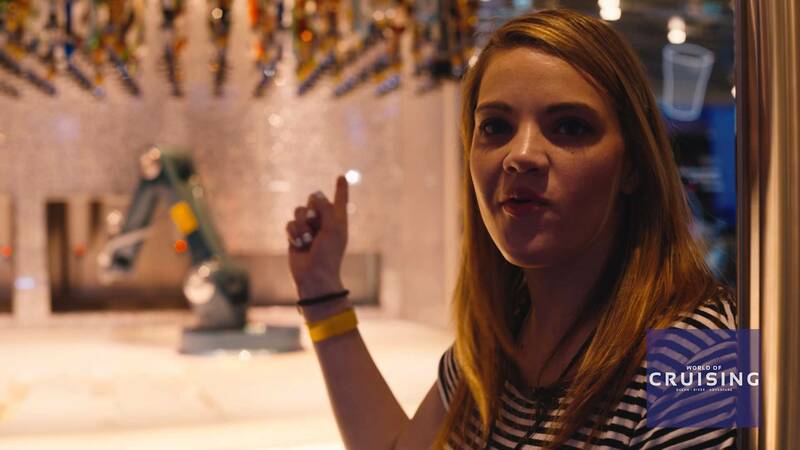 Earlier this year Laura-Jane Parker stepped aboard Royal Caribbean‘s Anthem of the Seas to film a mini-series of video blogs on key areas of this technologically-advanced Quantum-class ship including RipCord by iFly, North Star and the Bionic Bar. In this video Laura-Jane describes her experience on the indoor skydiving facility at the aft of the ship. The video shows the experienced instructors performing stunts as well as demonstrating to participants what not to do in the vertical wind tunnel. It also shows Laura-Jane take on the challenge which leaves her wanting another attempt. In this video Laura-Jane boards the North Star viewing capsule and gently soared 300 feet above sea level to take in the spectacular views. She explains that despite her dislike for heights she really enjoyed the experience, with the impressive views distracting her from noticing how high up she was. Sadly the Bionic Bar by Makr Shakr suffered from technical problems when Laura-Jane went to try it out. She was sceptical of whether the precise measurements of the robotic bartender could rival the skills of a human bartender. She waited for 15 minutes to see how the drink would compare but had to leave empty-handed as one robotic arm was motionless and the other was making drinks and then pouring them away. As a big fan of spas Laura-Jane headed to the Vitality Spa for a seaweed massage treatment. In this video she describes exactly what was involved in the 75-minute spa treatment, summing up the experience as “so relaxing”. She praised the skills and friendliness of her masseuse and craved more relaxing and indulgent treatments. Extensive coverage of the spectacular Anthem of the Seas launch in Southampton can be found in the June/July 2015 back issue of World of Cruising magazine including a detailed review by Laura-Jane as well as a look at how family-friendly Anthem of the Seas was by David Fiske.